Welcome to the recipe for one of my favourite desserts, ever. I pinky promise that it legitimately is super easy to make, and whilst you need to prepare it the day before serving (often a blessing in my opinion), the actual method is simple and quick. 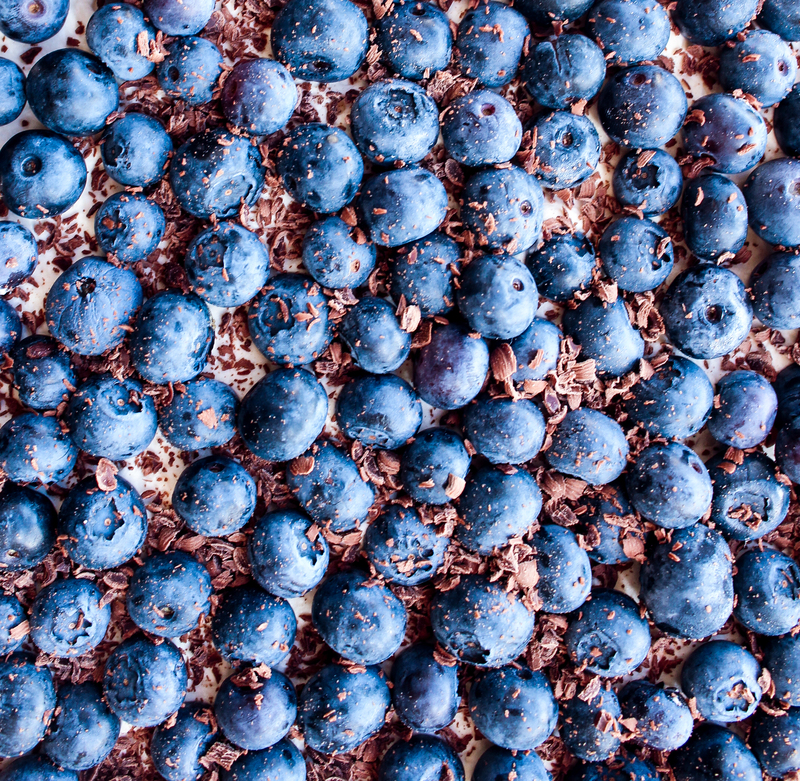 Your main weapon of choice must be a strong electric whisker, preferably one in a mix master, and armed with that you’re on your way to chewy, crispy, creamy, nutty goodness…with the added benefit of antioxidant-packed dark chocolate and blueberries? Any excuse to help yourself to a second slice, or a sixth. 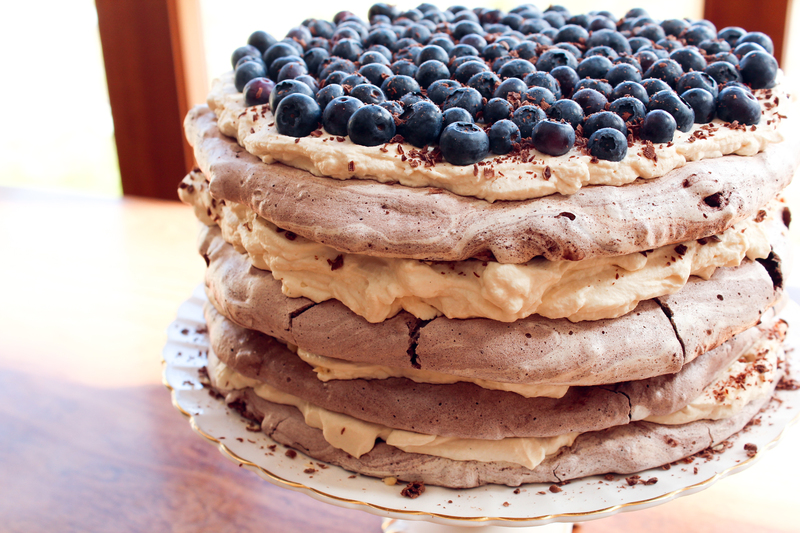 Actually, this torte is quite rich, so you should be feeling jovial and satisfied after one hefty helping! The meringue disks should ideally be made the day before serving, as once they have been slowly cooked, you’ll need to turn off the oven and leave them in there to cool slowly for at least 4 hours, but preferably overnight. This ensures that they dry out completely to form crisp, strong disks that don’t crack when you move them. 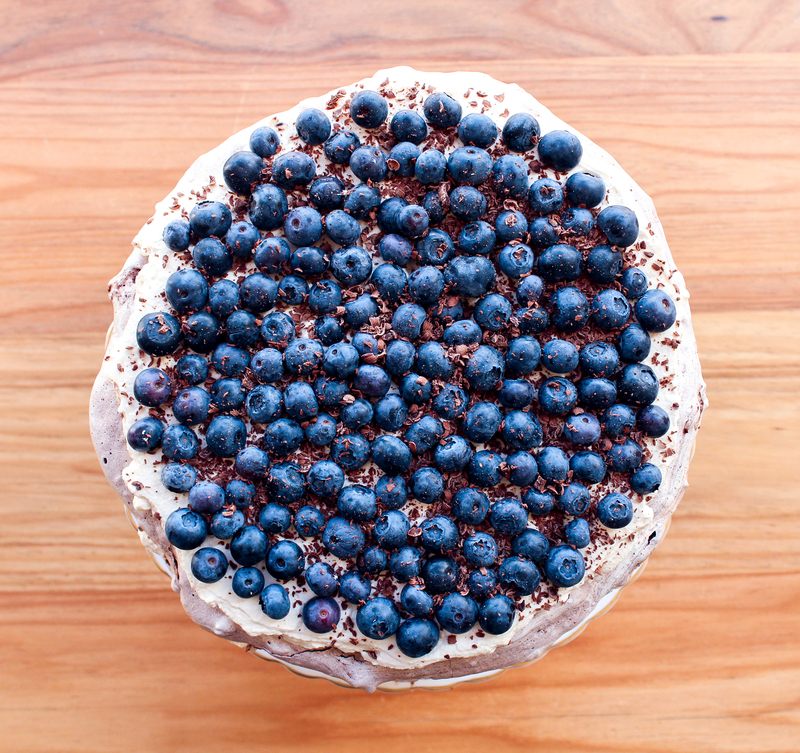 Then, once you have assembled the torte, it’s best to refrigerate it for a few hours to allow the meringue to soften slightly into chewy layers. This will also ensure that the torte is easy to slice. I cut it for hungry friends and family straight after I put it together, and although it still tasted wonderful, it did crack and crumble all over the shop. But then again, who really cares about that? It’s up to you! Note that I only flavoured the cream with one shot of espresso so that this torte would be kid-friendly, but it could easily take another shot if you fancy it. 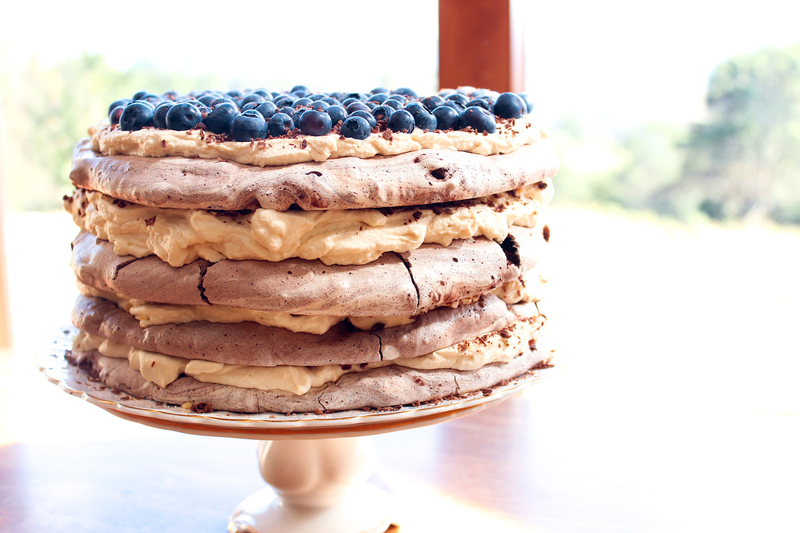 Also, the torte is gluten free. Enjoy the pictures as you scroll down for the recipe! 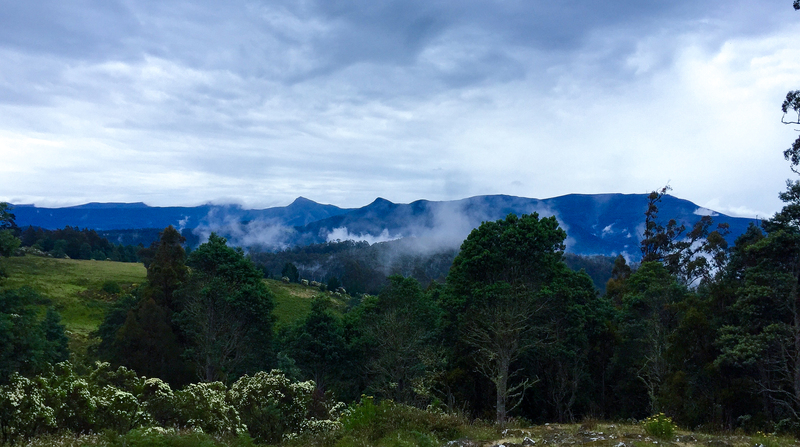 The last snap was expertly taken by my brother in Tasmania, and is the unbelievable view from the kitchen where I baked the torte. Preheat the oven to 180°C/350°F fan forced. On a baking tray lined with greaseproof paper, roast the almonds for 10-15 minutes, until slightly browned and aromatic. Allow to cool slightly before blitzing in a food processor to a rough crumb. Reduce the oven temperature to 100°C/220°F fan forced. In a large, clean mixing bowl, whisk the egg whites and salt on medium speed until soft peaks form. Turn the speed up to high, and continually whisk while adding the sugar a spoonful at a time, whisking well between each addition to ensure the sugar dissolves. 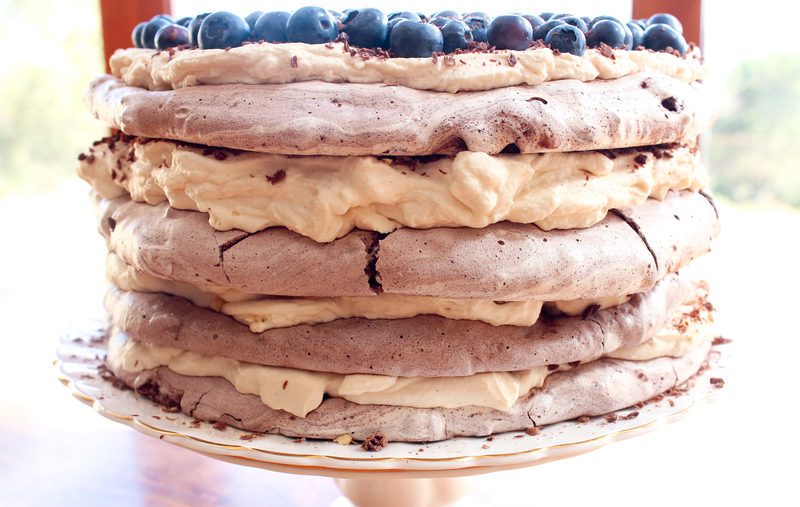 Continue until stiff peaks form, and the meringue can hold its own weight. This should take 8-15 minutes of high speed whisking in total. Sift the cocoa powder over the meringue. With a large metal spoon, gently fold through the cocoa along with 2/3 of the almonds to create a marbled effect. Do not over-stir the meringue, you want it to lose as little volume as possible, and for streaks of cocoa and almond to be visible. Line four baking trays with greaseproof paper, and trace a 9 inch circle on each sheet. Spoon a quarter of the meringue onto each tray, in the centre of the circle. 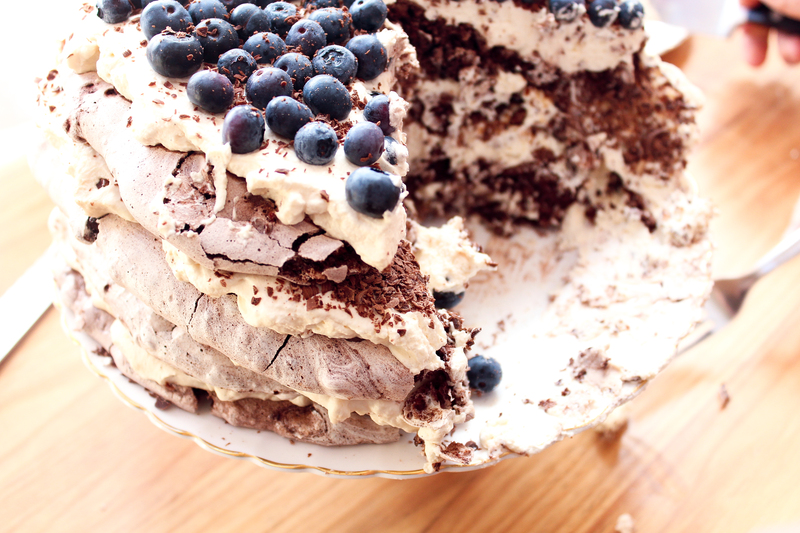 Use a butter knife or metal spatula to gently spread the meringue to the edges of the circle. Use gentle pressure and work your way from the centre outwards, all the way around the disk, as if you are delicately sweeping the meringue across the paper. Use your knife or spatula to gently smooth the surface of each disk as you finish. Do not over-work the meringue, the disks do not have to be perfect. Bake the meringue disks for 2.5 hours, until crisp and slightly golden. If you gently tap a meringue with your fingernail or a teaspoon, it should sound hollow when it has finished baking. Swap the top and bottom trays around halfway through, to ensure an even consistency among the meringues. Once cooked, turn the oven off and leave the door ajar, allowing the meringues to slowly cool inside the oven for at least 2 hours, but preferably overnight. In a large mixing bowl, whisk the cream on medium speed for a few minutes until stiff peaks form. Add the vanilla and coffee, and whisk for another minute to combine. Secure the first meringue disk to your serving plate using a spoonful of cream, and top with one quarter of the cream. Spread the cream to the edges of the disk and sprinkle with one third of the remaining almonds, and a little more than one quarter of the grated chocolate. Place the second meringue disk atop the filling, and repeat the process until you get to the last disk. 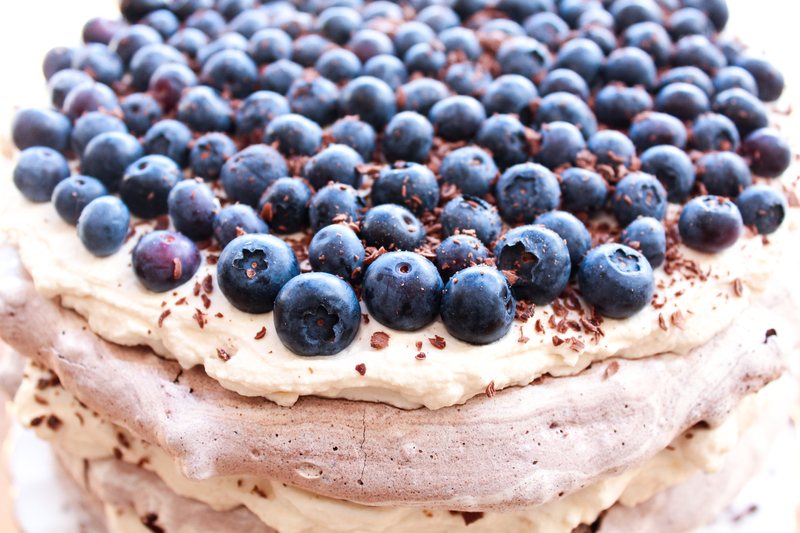 Top this disk with cream, blueberries and a light sprinkling of the remaining grated chocolate. 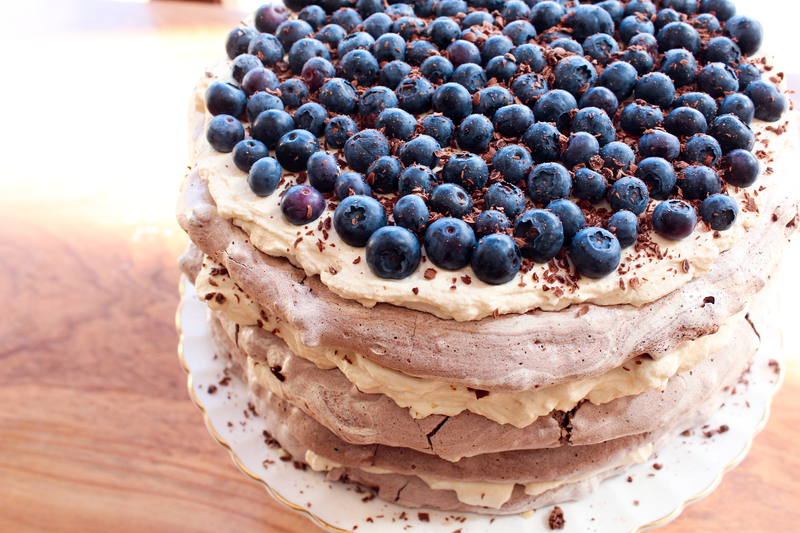 Refrigerate the torte for at least 1 hour, until slightly soft. Slice with a sharp knife and serve. The torte will keep covered and refrigerated for up to 4 days, but is best served the day of or the day after assembly. Wow! This looks so delicious, and absolutely beautiful!! Thanks Cassie!! I hope you give it a try, it really is so easy and well worth it!